My name is Kevin Mullins and I’m a professional Wedding Photographer based in the United Kingdom. I have been using the Fujifilm X Series of cameras since I fell in love with the original X100 back in 2010. At that point, I was using a very heavy DSLR system and I knew that the new wave of mirrorless cameras from Fuji was going to change the way I work. Since then, I have used almost every Fuji camera for my wedding, commercial and street photography. I have used X100/s/t, X-T1, X-Pro1 & X-Pro2, X-E2 and X70. My style of wedding photography is “Documentary”. This means I don’t stage anything. I take images of things happening around me without me affecting or organising those images. I love to get in close to the action, and at busy weddings, or when shooting on the streets, the small, lightweight Fuji X Series has really enabled me to achieve this ambition of shooting from the inside out, rather than from the outside shooting inwards. 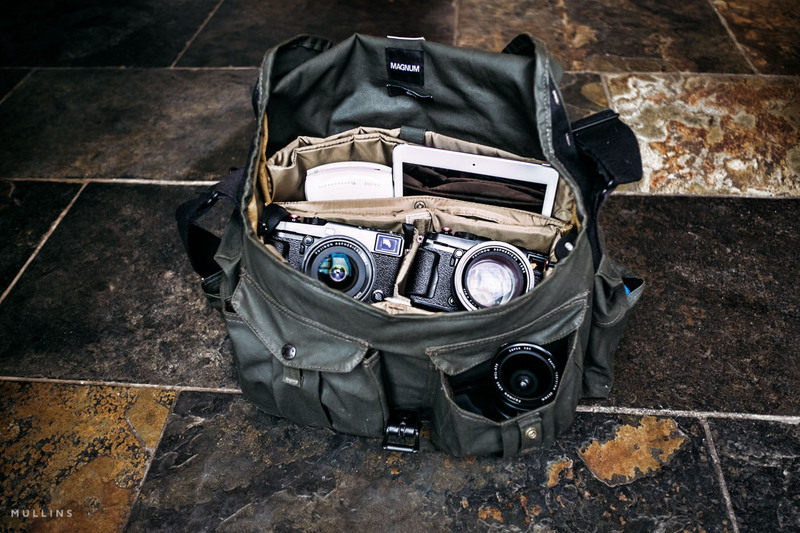 I currently use a Filson David Alan Harvey inspired camera bag which I think is perfect for both my wedding work and when I shoot on the streets. When I’m shooting in close quarters to my clients, I really want to blend in as much as possible. It’s true these days that I’m often using gear smaller than some guests at weddings. This is an amazing advantage as I can essentially be “just another guest” at the wedding. I adored the X-Pro1 for its aesthetic and the way that it was simply a little black box. I was so pleased when Fujifilm retained the same understated design for the X-Pro2. It really is such an inconspicuous camera that I can really mix in with the action, shoot very quickly and move on. I will likely have the 18mm F2 and the 35mm F2 as my reserve lenses but almost all of my wedding photography work is shot with the 23mm and 56mm lenses these days. The X-T1, with the latest firmware especially, was a very quick camera and I used it extensively. However, when the X-Pro2 came along, I realised very quickly that this is a camera with a sensor and processer to match that will allow me to shoot extremely quickly. I like to be able to shoot very reactively, either using the OVF or EVF, but I also like to shoot using a zone focusing method and shoot from the hip. This, again, is so easy to do with the X-Pro2 and allows me to get shots I might not otherwise achieve. The X-Pro2, for me, is the perfect camera for documentary type photography. The ability to quickly use the very responsive AF-C continuous focusing is great and I’m often using that mode for bridal recessional and for confetti runs. Because the X-Pro2s are very lightweight, I can easily shoot with two at any one time. During the wedding ceremony, when my bag is likely in the car, I will have one camera in action, while the other hangs on my shoulder or in my Spider Holster on my hip. I love using the very proficient metering (photometry) in the X-Pro2s and will often keep the body with the 56mm lens in Spot Metering mode. Because of the way I shoot, using available and natural light only, I have to try and utilise any powerful light in an artistic nature if possible. This is when having one body constantly set to spot meter can help me out, even in the most benign looking lighting environments. Of course, one of the best features of the X-Pro2 is the electronic shutter and I will often use that during the quiet sections of ceremonies. It’s incredibly liberating to be able to shoot in 100% silence and, for me, its so important that the serenity of the delicate moments is not affected by the clack clack clack of a shutter mechanism. The standard mechanical shutter on the X-Pro2 is quiet, but of course the electronic shutter is 100% silent. I also take an SP-1 instax SHARe with me to most weddings. This allows me to very simply take some images from the camera and via my iPad (where I edit the images using Snapseed), I can print a series of images and had to the bride and groom. Just like the cameras, the instax SHARE is so light that it is hardly any additional weight in the camera bag and is very easy to transport. The X70 is a new addition to the camera bag and is really my third body at weddings. This camera has, however, revolutionised the way I shoot my Street Photography. It is so light and small – even smaller than my mobile phone – that I can shoot so close to subjects without them noticing a thing. On the X70, I have started to use the WCL-X70 which I think allows me to get a unique perspective of people on the streets (or at weddings). The X70 really allows me get so close, or, rather, allows subjects on the street to get so close to me and they literally have no idea that a shot is being taken. Part of my objective when shooting anything, but especially Street Photography, is simply to document people being people. I’m a great believer in capturing people doing very normal things but at the same time documenting those moments.